Christmas celebrations vary around the world with festivities in some places starting weeks ahead of the traditional 25 December, while in some places Christmas comes in January. Regardless of the timing and traditions involved, one aspect of Christmas common around the world is the importance of food to the festivity. Each country has itsown popular dishes that are integral to the celebrations; here we look at some of the traditional treats on offer around the world. 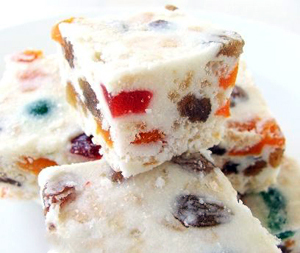 White Christmas: It is a mixture of raisins, glacé cherries, desiccated coconut, icing sugar, milk powder and puffed rice, with hydrogenated coconut oil as the binding ingredient. The mixture is poured into a rectangular baking tin and left to set, usually in the refrigerator. Once set it is cut into squares for eating. 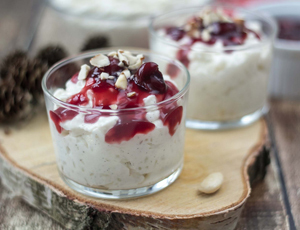 Risalamande: This is a traditional Danish Christmas treat made out of rice pudding, mixed with whipped cream, vanilla, and chopped almonds. It is usually served cold, with a cherry sauce. 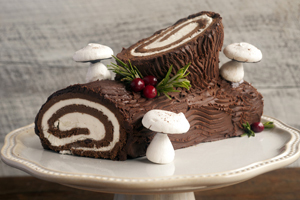 Bûche de Noël: This traditional Christmas dessert is made of sponge cake to resemble a miniature actual Yule log and is a form of sweet roulade. 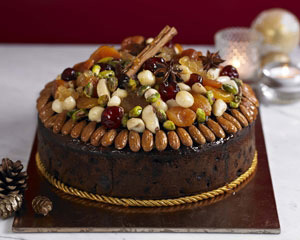 This cake is served at the midnight feast that follows the mass on Christmas Eve. 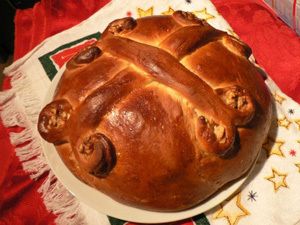 Christopsomo: There is no better bread to bake for the holiday than this delicious Greek Christmas Bread. It is slightly sweet, light, buttery bread, infused with cinnamon, orange and cloves that will fill you with the warmth of Christmas. 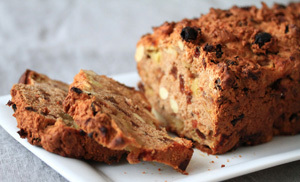 Früchtebrot: Whoever said fruitcake was bad must have never tried it like this. Fresh out of the oven, this German staple mixes the sweetness of honey with a mixture of dried fruit that is delicious on Christmas morning. The bread has firm dough and is usually divided into small oblong shaped loaves. Szaloncukor: This sweet is usually made of fondant, covered by chocolate and wrapped in shiny colored foil and then hung on the Christmas tree as decoration. 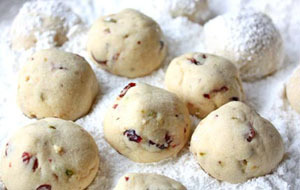 Neureos: These are deep-fried crispy dumplings with a sweet filling comprising of coconut, cashew-nut, raisins and cardamom popular in Goa and elsewhere. 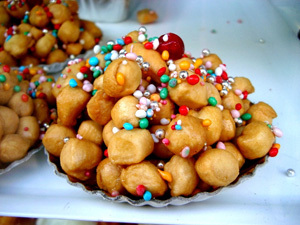 Struffoli: This is a dish made of deep fried balls of doughabout the size of marbles that are crunchy on the outside and light inside. 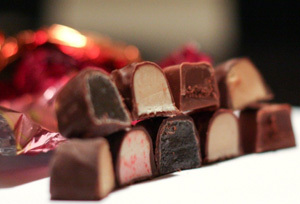 Struffolis are mixed with honey and other sweet ingredients. 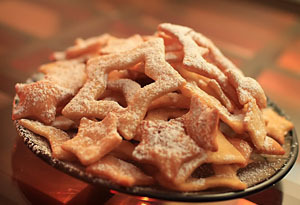 There are many different ways to dress them up, but the traditional way is to mix them in honey with diavulilli (nonpareil’s sprinkles), cinnamon, and bits of orange rind. Christmas cake: The Japanese style Christmas cake is often a white cream sponge cake frosted with whipped cream, topped with strawberries and a chocolate plate that says Merry Christmas. Pavlova: It is a meringue cake with a crisp crust and soft, light inside, usually topped with fruit and, optionally, whipped cream. 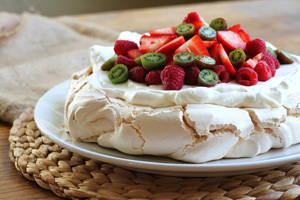 The pavlova has a crisp and crunchy outer shell, and a soft, moist marshmallow-like centre, in contrast to meringue which is usually solid throughout. 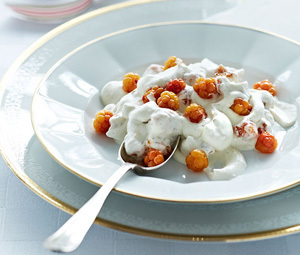 Multekrem: This is a traditional Norwegian Christmas treat, made by mixing cloudberries with whipped cream and sugar. The cloudberries can be served as-is or heated. Christmas porridge: This dish is cooked in a mixture of water, milk, cinnamon, round grains of boiled rice and a little salt. 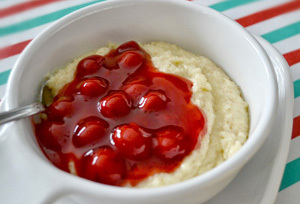 Although this is a Christmas specialty, it is eaten year-round. 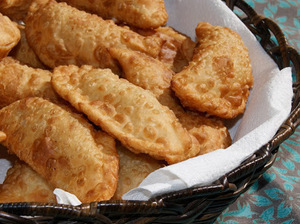 Chrusciki: This sweet crisp pastry is made out of dough that has been shaped into thin twisted ribbons, deep-fried and sprinkled with powdered sugar. 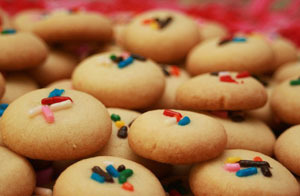 Mantecaditos: Puerto Rican short bread cookies are prepared with shortening, coconut butter, flour, almond flour, vanilla, nutmeg and almond extract. 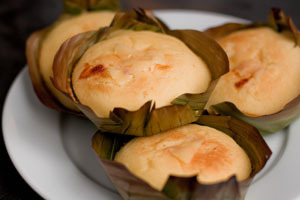 They are usually filled with guava or pineapple jam in the middle. Russian tea cake: This is a Christmas special pastry which generally consists of flour, water, butter, and ground nuts, the nut variety depending upon the cookie type. After baking, they are rolled in powdered sugar while still hot and then coated again once the cookie has cooled. 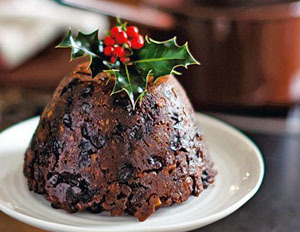 Christmas pudding: This pudding is composed of many dried fruits held together by egg and suet, sometimes moistened by treacle or molasses and flavored with cinnamon, nutmeg, cloves, ginger, and other spices. 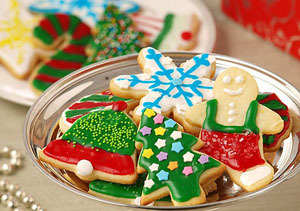 Christmas cookies: These are basically sugar biscuits, prepared and cut into various shapes related to Christmas. Some of the types are Ginger-man, Christmas-tree, Candy-stick, Stars, Hearts and many more.